These bags are used for commercial purpose especially in packing in Agro - based industries for packing , tea, coffee, potatoes, onions, wool, wheat, rice, pulses etc. The bags are available in tailor made size & weight (in grams). The bags are branded as per instructions given by the buyer. We manufacture and supply a range of Hessian cloth. This is a plain weave cloth produced from Jute with single warp and weft interwoven weighing not more than 576 grms/m2. All types of standard and non-standard Hessian cloth are available. 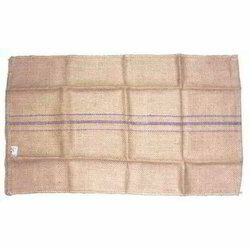 Our Hessian cloths are extensively used for making bags or as a cover to pack the material. We offer high quality range of Hessian Bag. It is durable and provides excellent packaging. It is widely popular for its good quality and reliability. It is manufactured using quality material and as per the industry standards. It is available at leading market price and can also be customized easily. We offer our range at market leading prices. - These are special type of Jute Bags that are made out of Hessian cloth stitched spirally in form of tubes. These bags have extensive uses in cotton packing. We are the topmost manufacturers and suppliers of a wide range of jute hessian cloth, jute yarn & twine, jute sacking bags, hessian bags and all A to Z jute items and have developed a huge customer base all across the globe. Our Folded Hessian Cloth Jute Yarn is in huge demand in the industry and is made of high quality jute fibers that have along service life. These special type of Jute Bags have six sides and we produce them in variouss sizes and weights as per buyer's specification. Our rapidly growing organisation is busy in offering a premium quality Hessian Jute Bag that is available in numerous sizes. 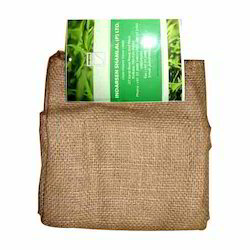 We are the famous company in offering Drawstring Hessian Bag to the clients. This product is ideal for the storage of various agro products and food grains. In addition to storage of the products, this product has the biggest advantage of optimum space utilization.